1. Why should I support HomesNOW? Homelessness affects around 3.5 million people in the U.S. In 2016, 719 homeless were counted in Whatcom County. Also, homelessness is not just a problem for those experiencing homelessness. 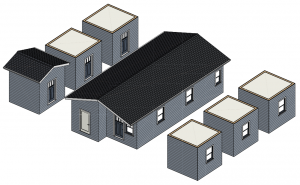 Other tiny-home projects have been shown to save taxpayers thousands of dollars on public utilities and rehabilitation fees. Like and follow our Facebook page at HomesNow. Not Later. We post regularly and will inform you of upcoming work parties and volunteer opportunities. You can also help us out by donating on our website. If you want to get involved directly, please simply show up to our events posted online, roll up your sleeves and get started. Each event we make it up as we go along and welcome any help. 3. How much of my money actually goes to helping the homeless and building homes? We keep our administrative operating costs extremely low, at only 5 percent of donations. The other 95 percent is used entirely for helping the homeless through constructing tiny-homes, providing food and donations of clothing, cold weather gear, and safe storage services as well as repairing boarded up houses and abandoned structures and other services to help solve or alleviate the problem of homelessness. 4. Where are the tiny-homes being built? We are currently in partnership with Lummi Stepping Stones, who have provided us with land on the Lummi Reservation to build our homes currently. 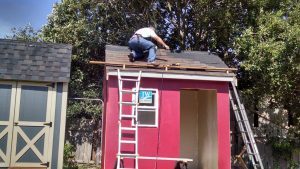 We are open to work with anybody who might be willing to have a tiny home built on their property in Whatcom County. We are actively working to find land, safe camping spots, parking and public services for the homeless. 5. Do I qualify for a HomesNOW! tiny-home? Currently where HomesNow! has been permitted to build has been on Lummi Nation. HomesNOW! 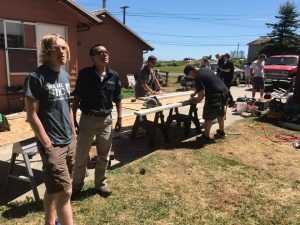 works with an organization known as “Lummi Stepping Stones” operated by Nick Lewis, a tribal business council member as well as Aaron Thomas of the Lummi Nation. HomesNOW! has not been permitted to do the same as of yet in Bellingham or anywhere in Whatcom County. The definition of homelessness is simply not having a place of your own to come home to. This includes those who are couch surfing, staying in temporary housing and those without any shelter at all. If any of the above describes your situation then you qualify for a tiny-home as long as we have a place to build it. HomesNOW! is open to anybody but the main stopping block at this time is finding land where we’re allowed to build on. If you know somebody who would be willing to host you who wouldn’t mind having a tiny home in their backyard, please let us know. If you know of somebody willing to donate their land to help the homeless, please let us know. 6. How do I sign-up for a tiny-home if I, or someone I know is homeless? We have a quick homeless questionnaire that you can fill out on our website if you or someone you know is homeless and in need of housing. 7. How many homes do you plan to build? Our goal is to house around 800 people (the estimated population of homeless in Whatcom County) by 2020 through building tiny homes, refurbishing boarded up houses, remodeling old warehouses, and more, but we plan to continue as long as there are those in need of a place of their own. 8. Where is HomesNOW! located? Our organization does not currently have an office space, but operates primarily in the Bellingham, Washington area. Our address is 1441 St. Paul St. Bellingham, WA 98229. 9. When was HomesNOW! founded? HomesNOW! received its 501c3 nonprofit certification in June of 2017. The plan for HomesNOW! originated from an idea that co-founder Jim Peterson had to end homelessness in 1994. He was formerly homeless for 17 years, from 1973 – 1990. Since then he has been dedicated to ending homelessness and helping the homeless as he has been helped. 10. How can I get in contact with you? You can reach us at our email: admin@homesnow.org. We are always open to discussion and suggestions.